This time around in our Knife Focus series, we’ll take a look at one of our best-selling knives, the 8″ Santoku. We’ll explore what it’s good for, how to use it and why every cook needs one in their kitchen. The Japanese word Santoku means ‘three virtues’ or ‘three uses’ and refers to the three kitchen uses that the Santoku is designed to perform well – slicing, dicing and mincing. In keeping with tradition, Flint & Flame’s Santoku handle is in line with the top of the blade and like the original Japanese Santoku (which inpires our knives) is an extremely well-balanced knife incorporating our unique Centre Point Balance (CPB) technology. The 8” Santoku Knife is without doubt one of the best all-round knives and there’s a very good reason for that. 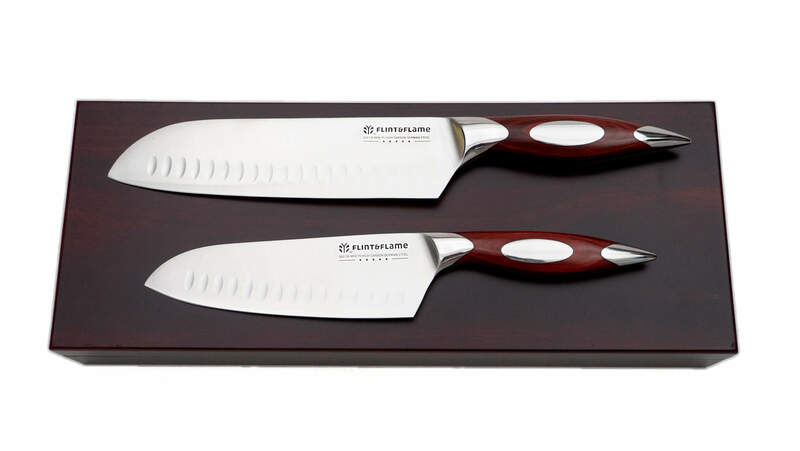 Being the bigger brother of the 6” Santoku, it will do a little bit more of the work for you, making your life easier. Having a longer blade means you saw at your food less and less strokes = less work. Just a great all-rounder. 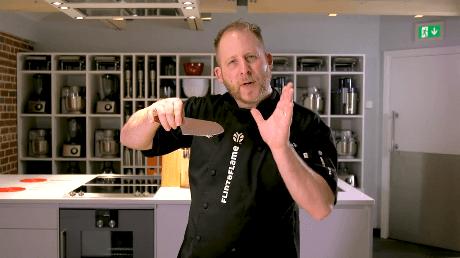 What Makes the 8″ Santoku Knife so Good? Ergonomic Handle – the rounded handle fills your hand with a comfortable grip. As the knife fits snugly into your hand (with no pressure points) it eliminates the fatigue and discomfort common with so many knives on the market today. If you’re looking for an easy to use knife that’s perfect for all your kitchen tasks, you can buy the 8″ Santoku Knife at your discounted Gold Member pricing by logging into your account using your normal details and then visiting our shop.